Two prominent research houses have raised the alarm about how little many Australians will have in their nest eggs when they retire. It is clear that if you are fortunate enough to earn a decent wage, and you own your home, you will have — what the experts describe — as a comfortable retirement. However, the Centre for Independent Studies warned too many Australians would head into retirement as renters on low incomes. “There’s a core group of people who could constitute as much as 25 per cent of age pensioners, who don’t own their home, who have little or no savings, and who are genuinely struggling to get by on the age pension — especially in capital cities where rent is quite high,” Centre for Independent Studies research fellow, Simon Cowan, told RN Breakfast. Lobby group the Committee for Sydney, which maps how renting is on the rise in the city, recently reported more than 40 per cent of neighbourhoods across greater Sydney now had a majority of renters. There are now concerns that an unprecedented number of younger Australians are permanently locked out of the housing market. And it has produced some anxiety around the levels of financial comfort that many can expect to have in retirement. The Grattan Institute, which recently published a paper on retirement savings, explained that, as home-ownership rates declined, the risk of people falling into financial hardship would increase. “The area where there is a real problem is if they don’t own their own home,” the Grattan Institute’s Brendan Coates said. The Centre for Independent Studies warned the problem would get worse because younger generations on low incomes were less likely to own their own home. Both research houses forecast that just one in two retirees would own their own home by 2050. It is a sobering message to many approaching retirement on low incomes who are not able to make it onto the property ladder. The Centre for Independent Studies wants to encourage younger Australians to pay more attention to their super. “At the moment, two out of every five people who retire at the age of 65 have no superannuation at all,” Mr Cowan said. “The median balance for a person in retirement is zero. Researchers said single, older women were more likely to fall into this category. How much do you need to retire on? The Association of Super Funds of Australia suggests about $25,000 would be enough for an individual, and $30,000 for a couple to live on “comfortably” for 20 years in retirement — which is the age pension plus $3,000-$5,000. 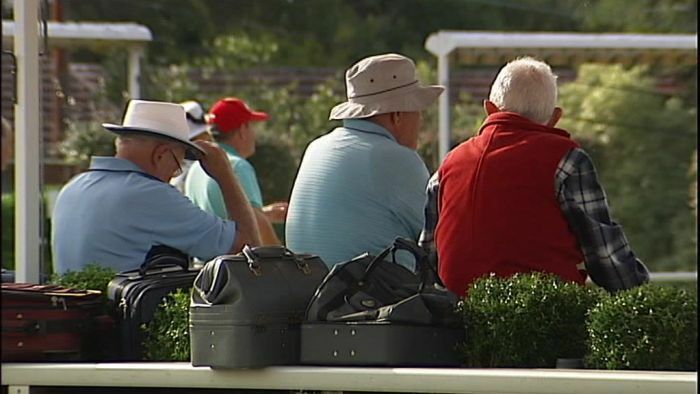 If you want a life in retirement where you can afford to eat out more often and have domestic holidays, the Centre for Independent Studies suggested you would need $40,000 per year in income. To get to that level, you would need to be earning $15,000 to $20,000 from your super, in addition to the age pension. To get that much over the course of a 20 to 25-year retirement, you’re probably looking at a little over $500,000 in your super balance at retirement.